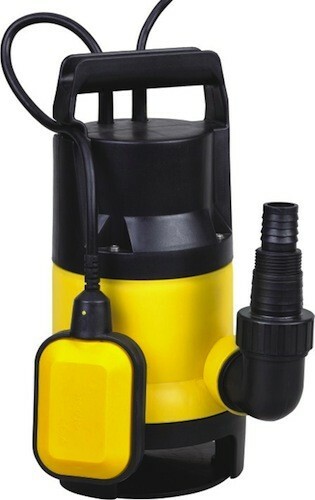 This portable sump pump is a necessity of every house. Never worry again that your dry basement will be effected on rainy days or any day that the underground water table rises. Submersible sump pumps sit in a water-accumulating sump pit, they pump all excess water away from the house’s foundation. This sump pump’s advantage is that it has a higher base plate which assures the prevention of debris collection in the sump pit. -	Sealed specially in order to prevent electrical short circuits while under water. -	Portable, does not have to be permanently installed. This portable sump pump is a necessity of every house. Never worry again that your dry basement will be effected on rainy days or any day that the underground water table rises. Submersible sump pumps sit in a water-accumulating sump pit, they pump all excess water away from the house’s foundation. This sump pump’s advantage is that it has a higher base plate which assures the prevention of debris collection in the sump pit. -	½ HP -	Maximum flow of 2,000 gallons of water per hour -	Adjustable tether switch -	Multi fitting elbow -	Extra long cord -	Sealed specially in order to prevent electrical short circuits while under water. -	Portable, does not have to be permanently installed. The purchase of this sump pump will save any home owner thousands of dollars by preventing water in the home’s basement.